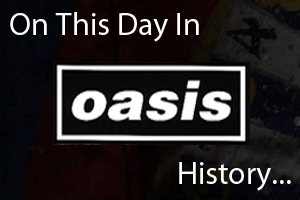 On October 12th 2002 Oasis played at the Livid Festival in Brisbane, Australia. On October 12th 2008, Oasis' final album 'Dig Out Your Soul' entered the UK Album Charts at number 1. It sold 200,866 copies in it's first week, making it at the time the 51st fastest selling album ever in the UK.